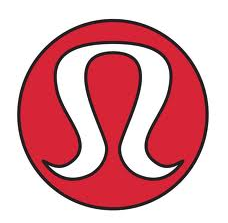 I’ve been hearing over the past few weeks here and there that many Lululemon stores are currently running in the red and not performing well at all. Speculation at the cause (from employees and from readers) is that they have expanded faster than their market can tolerate so cities that have two or more stores, one store is inevitably suffering. I personally am not buying that as Lululemon does extensive research on store locations and always tests the market with lower cost showrooms before they take the leap with a full on store. Lululemon head office has responded to employee frustration by lowering store quotas as they get ‘team commissions’ based on the stores overall performance. Another thing for store managers to note is that over the past 3 months, lululemon has been debuting ALL of their products online before they are released in stores. Perhaps in order to boost their ecommerce numbers. This means that if customers don’t want to miss out on a popular item, they order online instead of waiting for their stores to get the product. Stores are getting a lot of online returns, but not a lot of the sales they would have had had those products debuted in store first. When customers get a chance to try items on in stores first, purchases are much more established. Ordering online often means the customer is taking a chance on size and style and has a higher chance of returning that item. My sense is that lululemon has really upset their customer base by cheapening their core products to increase margins. It is undeniable that the many ‘updates’ to products we love are simply cheaper to produce knock offs. The lack of quality with the Scuba Stretch compared with the Scuba Hoodie, or the much more basic Every Day Yoga Jacket and Forme Jacket compared with the Stride and Define Jackets in undeniable. Lesser material, lesser garment construction and seam details right on the heels of major quality issues that lululemon has had since last year. Not good Lululemon. I’ve been noticing in all of the stores in my area that items are not selling out at all. The stores are flush with product that is simply not moving and this is the same report I’m hearing from readers from across the continent. Another change I’ve noticed is that this year Lululemon has not produced nearly the amount of items that they have had in prior years. We are now in the middle of December and every upload we’ve had this month I’ve remarked ‘wow, that seems pretty light’. Looking back at my posts from last year you really get a sense of the change in the product lineup. They are focusing more on the very high priced technical items (What The Fluff Line) and not the basic to and from items that keep us returning. I feel like they have put all their eggs in the What The Fluff Line basket in the hopes that it would be a huge seller. Personally, as a shopper that has various athletic hobbies, I buy one or two of the technical items which I consider ‘investment’ items which I need, and the rest of my purchases are the less technical more frivolous items. I don’t need more than one run jacket, winter tight, down jacket or accessory. Once I’ve filled those technical needs I can then buy my casual wear items such as knit wear (Chai Time Pullover, wraps) lower price ranged fleece (apres run), cotton wraps, long sleeve tees etc. With those items greatly reduced I’m left with only purchasing CRB’s now since I don’t have a need for all of the specialized high ticket items. Last week, when Lululemon repriced several items online I felt like that was a really bad sign for how they are running the business. They have priced their items lately in such a gross exorbitant way that its painfully obvious to the customer. Can I afford a $300 ‘Miracle’ hoodie? Yes I can….but I’d rather buy a luxury item for that price and not a fancy sweatshirt. I like to feel good about what I’m buying when I spend that kind of money. I really feel like Lululemon was already at it’s threshold of what the majority of their customers where willing to pay for athletic apparel and instead of enjoying the high margins they had during a time of recession and economic instability, they are pushing for greater profits. They had a formula that worked so well for them despite the economy, but the focus has changed to expansion at all costs. And I really feel like now it is costing them. As a long time customer I have to say I’ve been really disappointed. I don’t like seeing this very obvious shift in priorities for the company. I feel like the money chase has really killed the intense creativity and talent that this company once had. Designers used to be free to create awesome products, and are now likely given parameters like ‘recreate the Define Jacket but use 33% less materials and production cost’ and then seeing that the company has not only decreased the cost of production for that garment significantly, but increased the price. How are you readers feeling about how this is affecting store sales? Any educators care to comment (anonymously of course)? Personally it makes me feel really sad that the people that work the hardest representing the company out in the community have had to witness such a degradation of the product they sell, and further, the sales loses are impacting their commissions and that is a shame. "More Of The Uba Hoodie Lux"
"Color Comparison: Shell Pink to Pow Pink, Raspberry Glow, Pretty Pink Tonka Stripe"